In 1- to 2-quart slow cooker, mix all ingredients except bread. Cover; cook on Low setting 3 hours. Stir fondue until smooth. 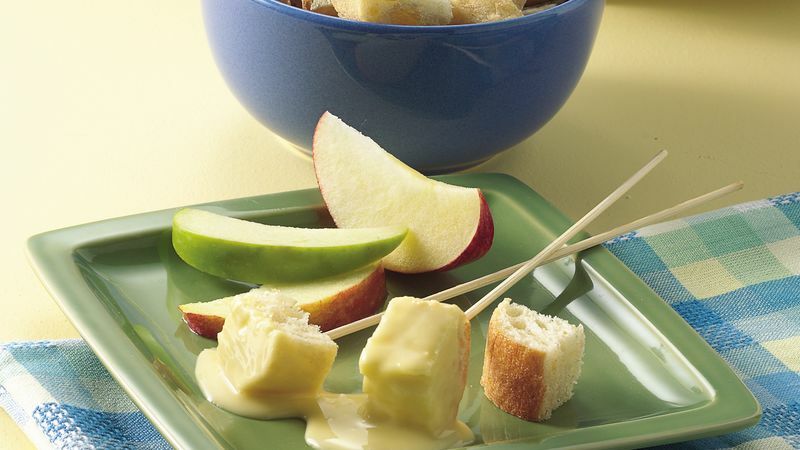 Serve bread with fondue, spearing bread and dipping into fondue. If necessary, cover fondue and hold in slow cooker on Low setting up to 2 hours. Be sure to purchase processed Swiss cheese instead of natural Swiss cheese. It keeps the fondue smooth and creamy throughout its long heating time. Cut sliced cheese into pieces or strips for complete melting.